As a young pharmacist I became the manager of the Weleda Pharmacy in Rosebank. This was not only an enjoyable work-place but through it I came into contact with Anthroposophy. This opened up a whole new world for me. At last I found a way of connecting my belief in reincarnation with that of Christianity. As much as I liked the work in the pharmacy I became restless because the way in which I could help people was to some extent limited. One of my questions to Guy Wertheim-Aymes was what had Rudolf Steiner said about the Christ? One day he told me that a lady was coming who would answer all my questions! 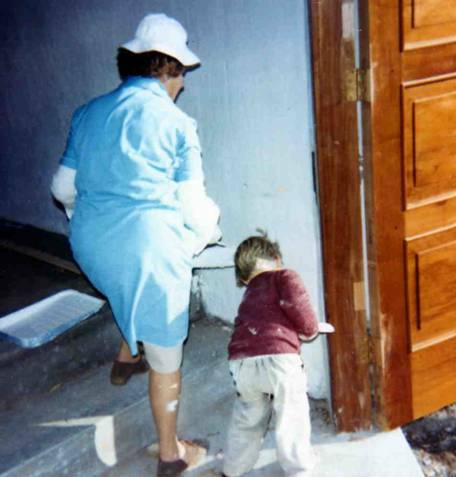 This was Evelyn Capel – and indeed she did answer my questions and awakened new ones in me. Joyce and I attended a Confirmation, held by Evelyn, in the old Cresset House. Later in July 1965 we met Julian Sleigh and Heinz Maurer, who had been ordained on 2nd May 1965 in London, and Dr. Alfred Heidenreich. While considering what I should do I thought of studying medicine but woke up one morning with the clear decision to become a priest in The Christian Community. When I asked Evelyn to meet me she asked what it was about. When I told her she was amazed as she had wanted to ask me if I would not consider the priesthood! I had no idea what I was going to experience and went with a few learned phrases but very little else! The group that called itself the ‘Friends of The Christian Community’ offered to pay all the costs of my training in Germany so as to get me back as priest as soon as possible. Joyce and I were married by Evelyn in the Methodist Church in Rosebank in October 1965. Guy had somehow managed to organise that! We left to travel via London to Stuttgart where I joined the Seminary after Easter 1966. After my ordination in Stuttgart on 14th July 1968 we went to London where I joined the priest circle in Glenilla Road for six months. We had bought a new VW beetle which then travelled with us on the Pendennis Castle – the cheapest way of returning and bring quite a lot of luggage (books!) and a car. So we could visit Julian at the Camphill Village Alpha and then drive back to Johannesburg. The ‘Friends’ had found a small hall to rent in Craighall Park. After the alterations and painting were completed we were ready for my induction for which Alfred Heidenreich was going to arrive shortly. 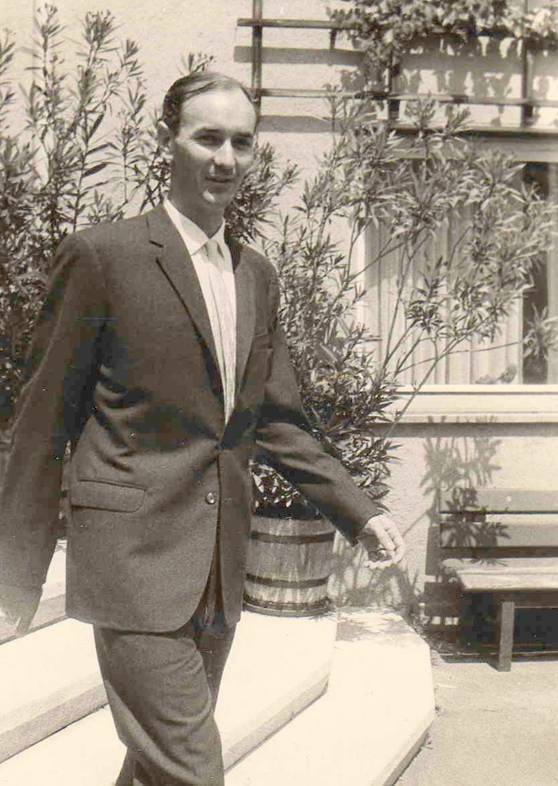 On the 5th March 1969 we collected him from the airport and that evening he held a lecture in the house of Maude Wooll – Casa do Sol. The room was packed and all were most inspired. The next morning we heard from the friends at Cresset House where Alfred Heidenreich was staying, that he had suffered a heart attack and would not be able to hold the ceremony. In his stead Heinz Maurer, who had come up from Cape Town, held the ceremony in a most dignified way. Many people attended and the little chapel, filled to capacity, was a worthy room for our Sacraments. On the next day I visited Alfred Heidenreich and he was feeling much better and said that now he would have the time to work with me as he had planned to do in London but never managed to as he was always so busy. On the 9th March he passed away in the early hours of the morning and so I was privileged to have him as my spiritual support during the first seven years. Rudolf Koehler, accompanied by Eileen Hersey and Margaret Roberts, who was engaged to be married to Alfred Heidenreich, prepared to hold the funeral. As we had no black vestments Joyce and Maude Wooll set about making them – a mammoth task. Luckily Joyce had learned how to sew chasubles. A memorial was built at Cresset House designed by Hans van der Stok and executed by Johannes Jellinek. When Cresset House was sold the brass plaque made by Johannes Jellinek was built into the Memorial bench designed and built by Mark Hattingh. The ‘Friends’ became the congregation of The Christian Community in Johannesburg. During the years which followed, the Trustees, under the steady hand of Kurt Schneider (who was like a godfather to me!) and supported by his wife Aenne were an amazing support for me as their first resident priest. I have often been called the first South African priest, but this is not correct. 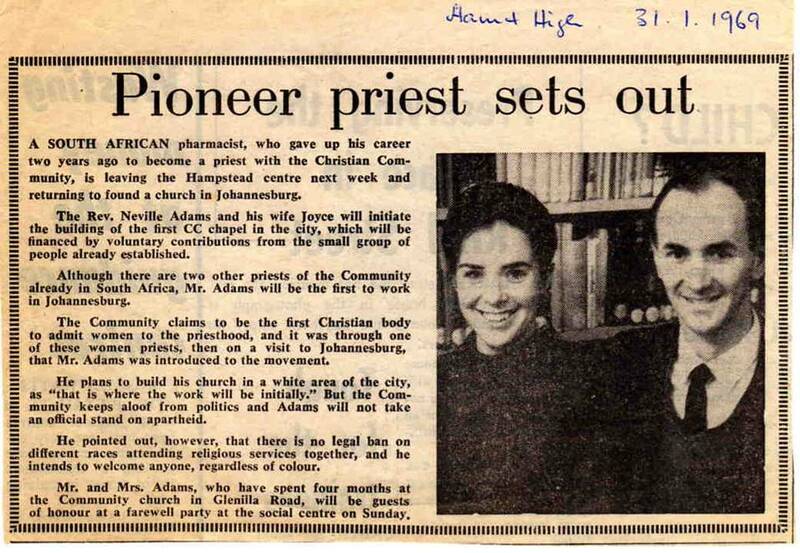 I was the first to be resident and working in South Africa but Walter Brecker who had gone to work in Camphill in Scotland went to the Seminary and was ordained by Dr. Frieling on 8th November 1964 in London and so was the first South African to become a priest. It was our intention to purchase the Chapel and the house on the property. We had agreed a price with Mr. Taylor but while I was on one of my regular visits to Durban where there was a very active, largely young group of friends, things changed. Mr. Taylor had an evaluation on the value of the property and wanted considerably more than the sum we had agreed on. My answer on returning was that we would not pay his inflated price. So we had to look for an alternative. This took us to the property at 76 Conrad Drive, Blairgowrie. There we had a room for the Sacraments and a lively Community: Michael and Barbara Krösche, Dolores Reid and the Adams family. Andrew was born there and baptised by Julian. We knew that this could not be a permanent home for our Sacraments and had hoped that we could acquire land from the Park adjoining the property on which to build a church. This was not to be so we had to start from scratch again looking for a property. It was Joyce who found the property in Pine Avenue cnr. Dover Road, Ferndale. So we moved again and the Adams family squeezed into what was left of the house after the lounge was converted into a chapel! Here the twins were born and we stayed until Joyce’s parents helped us to buy a house where they lived with us in a cottage in the garden. But it could not remain like that – the spaces in the house were ultimately inadequate for the church activities. So it came that we began planning a church on the one half of the property. An architect from Durban designed a very futuristic church but we felt it to be too complicated and not quite what we wanted. So I asked a German architect friend, Hinrich Witt, whether he could help us – to which he agreed. When I realised how much money we would have for the building I wrote to him that it was not going to be possible and that he should not come. He and his wife Hilde decided to come anyway and have a holiday with us. So the five of us (with Andrew as a 1 year old), set off for Port St. John’s to have a beach holiday. There Hinrich told us about Church architecture and some of the principles which need to be considered and we built a ‘Sand Church’ 1:10 on the beach. Very much the same the church we then built. 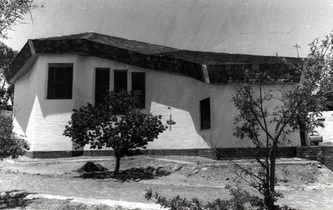 Hinrich then proceeded to draw the plans when he was back in Germany and an architect in the congregation in Pretoria agreed to draw the plans for presentation in the Randburg council. Another obstacle to be overcome was to get permission to build a church on a residential site. Two of the neighbours objected but their reasons for doing so were not upheld and we got our permission. The fact that our builder was on the council almost certainly played no role at all! This was, of course the church without the adjoining community rooms. On a trip to Germany Hinrich presented me with a 1:50 model of the church showing the ceiling as designed by a sculptor, Rudolf Tellmann, who later became a priest. Both of these people as well as the Pretoria architect rendered their services free of charge! 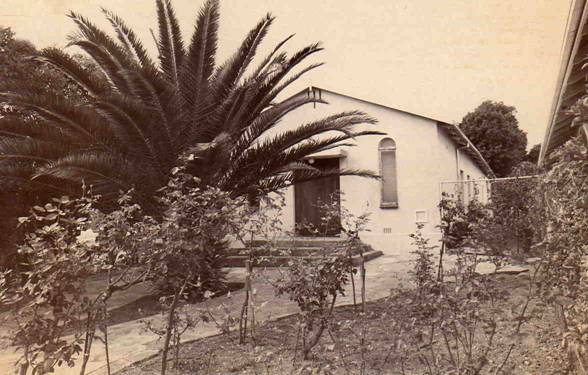 Building the church became possible because of such generosity as well as the donations and loans which we received from Germany – to a large extent through the activity of Michael Heidenreich (son of Alfred Heidenreich) who became Lenker for Southern Africa. If I remember rightly the Church of Lazarus cost R30 000,00! 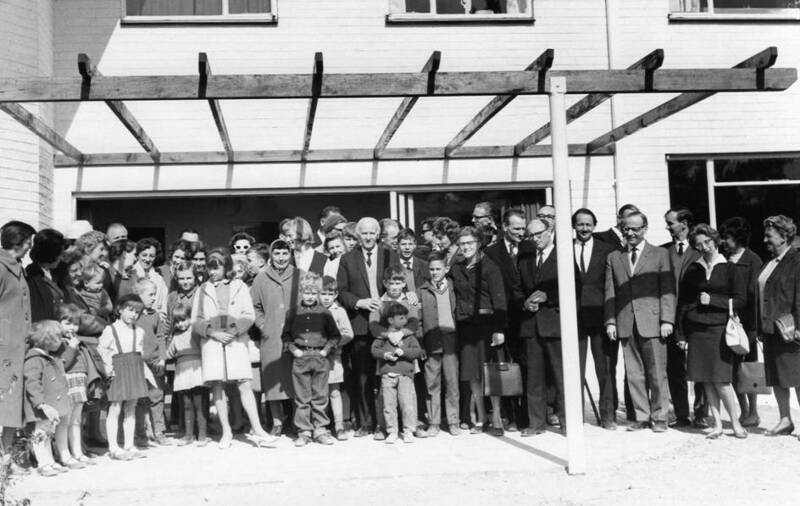 The foundations for the church were laid early in 1976 and the Foundation Stone was laid on 23rd February. When the young builder began marking out the foundations I went to have a look and told him that what he had done was wrong! "No that couldn’t be", he said! But I knew the plans like the back of my hand and told him how he should set about doing it properly! And so he got it right. It was certainly the first building he ever erected which was not a square! Almost in despair he asked if I knew that the building had 23!!! corners on the outside perimeter. I didn't but found it interesting that we laid the foundation Stone on 23rd February which is also Lazarus day. The archway of the vestry door has a double curved surface which the plasterers could not get right! So one evening after they had gone home I did it for them! They didn’t even notice it! something can see better what to do, so I told them to first hang the central hexagon and from there work down to the correct heights on the walls. And it worked! 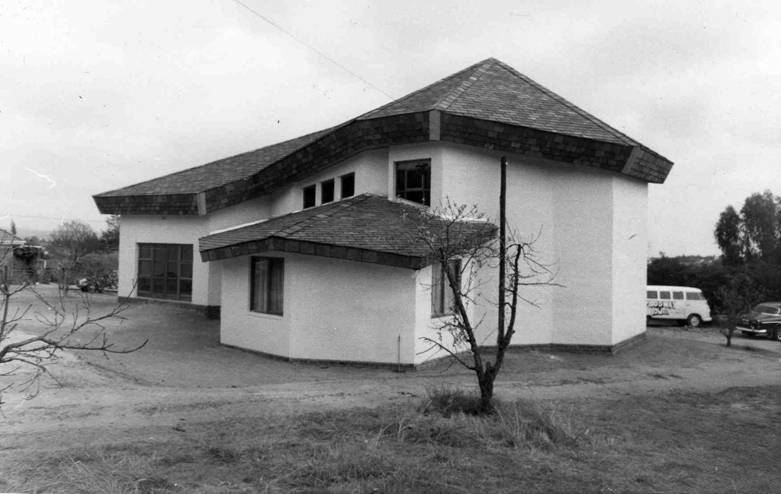 Perhaps it is interesting to know that the front door to the church was removed from a bank which was being renovated in Durban and bought by Herbert Schneider who had it cut curved at the top and a frame made for it. Freddy Dörflinger put the ceiling in the Vestry and Johnny Viviers did the plumbing in the Vestry. I did a building course at the Waldorf School and so in the evening after the workers had gone home the ‘watch-boy’ mixed daga for me and I built the original toilet block which was not included in the price. There was much confusion about the roof construction. The suppliers refused to follow my suggestion that they physically measure the distances between the tops of the walls to check the span of the trusses. So they ended up sending two complete sets of roof trusses. The rather eccentric constructor then said he would rework the trusses on site as they were still not right!!! One day he had an argument with one of his workers on the roof and yelling and shooting at him with a nail-gun chased him across the roof causing quite a bit of excitement! One carpenter asked to borrow a circular saw form me. I was rather cautious about that but he assured me that he knew how to use it. Well, on the first day he lost his index finger to the saw! Finally the church was complete. The consecration was set for 3rd August 1976. A group of visitors from Windhoek came and thankfully cleaned the church. So we were set for Michael Heidenreich to consecrate our church. Quite an achievement after only seven years! After all the stress I was too ill to hold the first Act of Consecration of Man. Michael Heidenreich, our Lenker at that tiem, then consecrated our new Church of Lazarus and celebrated the first Act of Consecration of Man. In the days that followed I would have opportunity enough to stand at the altar. In a way this was the fulfillment of an interesting event which could be seen to have prophesied what was to come. It must have been in 1964 that I became manager of the Weleda Pharmacy in Rosebank. Probably it was Guy Wertheim-Aymes who asked me whether I would take part in an outdoor presentation of the story of the Goose who laid the golden eggs. This was held in the grounds of the Waldorf School in Parktown as part of their magnificent Advent Fair. I agreed and was given the part of the priest! Deja-vu! 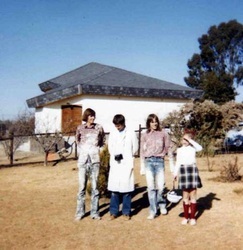 In 1977 Georg Dreissig was ordained and his first posting was to Johannesburg. Georg was not a newcomer to the congregation as will be described in what follows. This was a time of great harmony and progress in the life of the congregation. 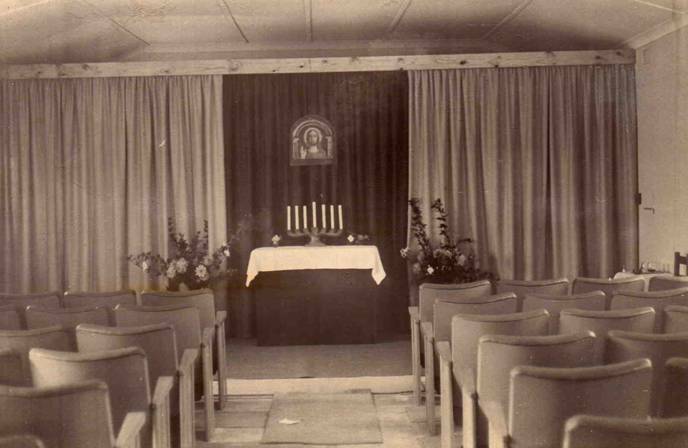 During this time Hinrich Witt drew up plans for the extension of the church building to create the community rooms. In Durban lived the family of Herbert Schneider, son of Kurt Schneider. He lead an Anthroposophical group of mainly younger people and asked whether I would be willing to go to Durban and start holding Services. Evelyn Capel had previously visited Durban on her trips to South Africa so that there was already a group of people interested in the work of The Christian Community. This became a regular part of my work and I was there every two months. One day while visiting the Schneider’s who lived in Benoni a Dr. Schuette from Pretoria called to ask Kurt Schneider whether I could speak German and whether I would be willing to visit the group there. They were Anthroposophists divided into three groups according to the languages spoken: German, English and Afrikaans. I agreed and visited once a month, once on a Sunday and once on a Saturday. The Services were held alternately in English and German. Later, when the Services were translated into Afrikaans, the three languages were used in rotation. 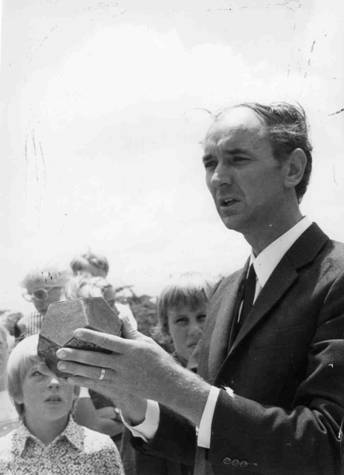 Heinz Maurer and Helene de Villiers translated the Act of Consecration of Man into Afrikaans. When I was sent a copy of that I felt that it had been extremely well translated but that it was perhaps too strongly influenced by the English version. Francois Maritz was willing to work through it with me and so for almost a year we met on a regular basis to that end. This re-worked version we sent back to Heinz and Helene and Helene made further suggestions and so we began to celebrate the Sacraments in three languages in South Africa. In 1972 Michael Heidenreich decided that it was essential that I start holding Children’s Camps. This had, in a manner already been prepared by the presence of a young couple who came out from Germany. I had, at the request of Guy, asked a friend whether he would like to come to Johannesburg to work in the Weleda Pharmacy. He, Thomas Kraemer and his wife Gina spent one year in Johannesburg. Gina was an Eurythmist and played the guitar and knew hundreds of folk songs. She decided that for youth work I needed to be able to accompany songs on the guitar and so a guitar was bought and I was given lessons. Many of those songs appear to have survived into the present! Well, Michael Heidenreich’s plan for my ‘crash-course’ in Camp Leadership was then put into action. I flew to Israel for one week where Christian Maclean (now with Floris Books) joined me to show me as much as possible of the Holy Land in one week. From there I flew to London and accompanied a group of teenagers who were on their way to The Christian Community Youth Camp on Farmer Brown’s field in Llanbedr, in Wales. There I was assistant Camp Leader with Roger Druitt for a couple of weeks. Then I had to leave to go to Edinburgh where I met up with Taco Bay to help him with a Children’s Camp not far from Aberdeen. But that was not enough!!! From there I went to Germany to once again be a ‘Learner Camp Leader’ for three weeks. After that there was a priest-synod in Basle and from there I went to Berlin to be a co-leader with Michael Heidenreich on a Camp for Confirmands. From there I went to Hannover to fly back home to Johannesburg. Anna Raath, a member of the congregation in Pretoria, offered the use of her farm near Carolina in the eastern Transvaal for a children’s camp in December of 1972 – a very full year altogether for me! But everything had to be arranged. Soon we had a list of 65 children and a number of helpers as well as Michael Heidenreich who wanted to be sure that we did everything correctly! He did not come alone but brought with him a young student who was interested in becoming a priest – Georg Dreissig. The list of helpers on that first camp is not complete in my memory but some of the names are particularly interesting: Rosemarie van Hoogstraten and David and Rae Wilmot. The camp was extremely successful and a great time was had by all. A bridge built by the oldest boys group was opened on Camilla Wertheim-Aymes birthday and so was named ‘Queen Camilla Bridge.’ The first cook was Gregory Poulter who had just returned from his military training. We were all astounded at his ability! Later Maude Wooll was chief cook and what a splendid job she did. We had a number of camps on the farm but when it was sold we had to look for another venue. 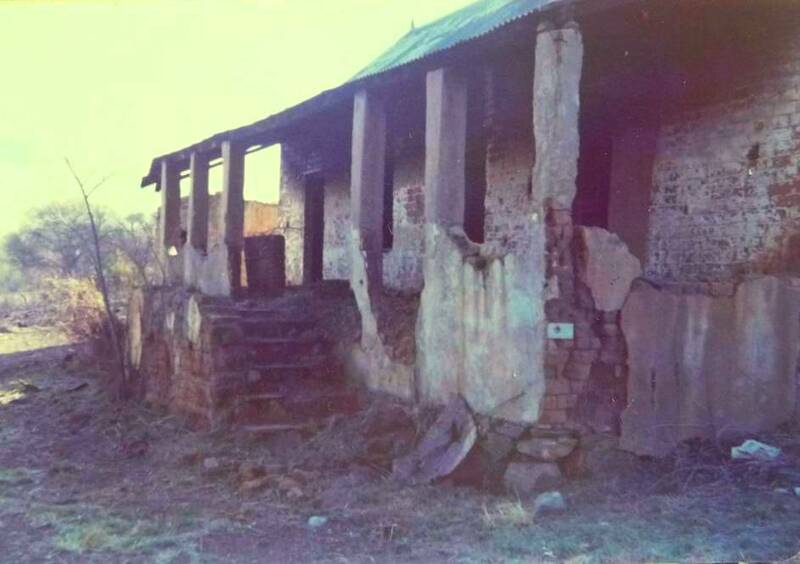 One Sunday afternoon on a walk in the vicinity of Krugersdorp we came across a derelict farm house close to a little river. The owner of the farm, Dennis Hattingh, agreed to let us renovate and use the house and the area surrounding it for our camps. This was an enormous undertaking. But with the help of a number of stalwarts it was done and it was really habitable!!! All the inside walls had to have the mud-plaster removed with spades as there had been a hay-fire inside the house and the walls were black with soot! Then re-plastered and painted. I had joined the Lions Club in Randburg and they donated a pump and laid the piping to give us running water. Stan Goldstein donated the corrugated-iron roofing for the rear portion of the house – the kitchen and eating room. Then we had our first camp there. 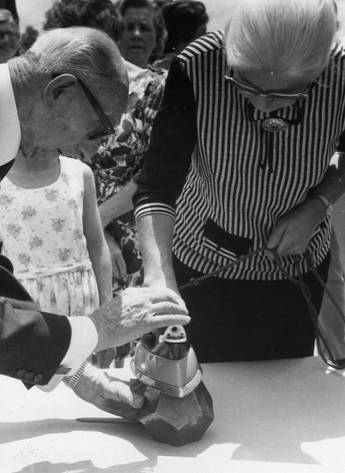 Two names of helpers: John-Peter Gernaat and Hannah von Maltitz. When Dennis, after a couple of camps there, decided that we should pay for the usage of the house we ceased using the venue.